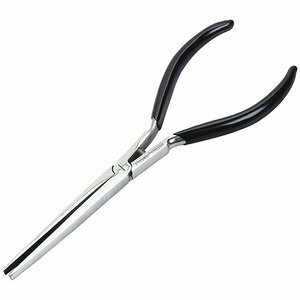 Pro'sKit 1PK-244 is a long flat nose pliers made of stainless steel with mirror polished finish (185 mm). Made of stainless steel with mirror polished finish. Leaf springs are spot welded to the tool handles to fix the jaws in a comfortable position. Forged box joint construction gives strength and precision.